Amit Shah is an Indian politician and the current President of the Bharatiya Janata Party. He is a prominent BJP leader belonging to Gujarat and has a plenty of experience in the field of politics. He is the MLA from Naranpura constituency, elected in the 2012 elections. He was also elected as an MLA from Sarkhej constituency for four consecutive elections (1997, 1998, 2002 and 2007). 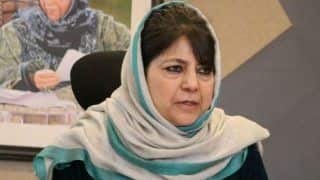 Shah is a close associate of Prime Minister Narendra Modi and has played a key role in the partys emergence as a dominant force in the 2014 elections. 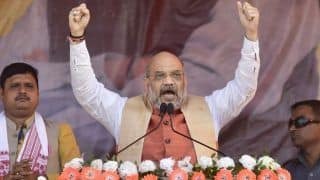 Shah became the new face of BJP after being able to swipe the entire state of Uttar Pradesh by winning 73 out of 80 seats in the 2014 elections.Born in a wealthy Jain family in Mumbai on 22nd October 1964, Shah completed his schooling in Mehsana and pursued his graduation in bio-chemistry from CU Shah Science College in Ahmedabad. His father Anil Chandra Shah used to run a business dealing in PVC pipes. 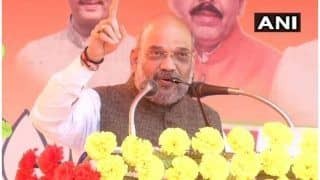 Amit Shah handled his fathers business for some time and he has also briefly worked as a stock-broker and also with co-operative banks based in Ahmedabad. He joined Rashtriya Swayamsevak Sangha at the age of 14. He used to attend the local shakhas (branches) of RSS and became the volunteer for RSS in his college days. 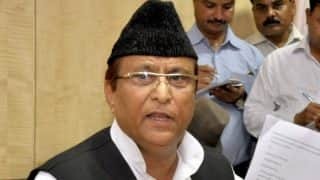 He met Narendra Modi for the first time in 1982 when Narendra Modi was an RSS pracharak (promoter) and was working as the in-charge of the youth activities in Ahmedabad. Amit Shah became the Secretary of RSS students body Akhil Bharatiya Vidyarthi Parishad (ABVP) in 1982 and then joined BJP in 1986. In 1987, he became an activist with BJPs youth wing Bharatiya Janata Yuva Morcha (BJYM) and then rose to hold various positions in the party such as State Secretary, Vice President and General Secretary. 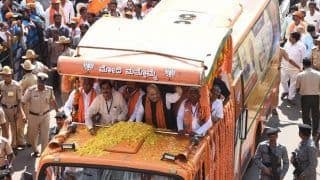 In the 1991 general elections, Lal Krishna Advani was contesting for the 1991 General Elections from Gandhi Nagar constituency in Gujarat and Amit Shah was given the responsibility for the campaign in the constituency. 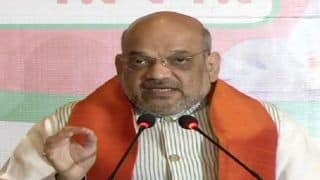 In 1995 when Keshubhai Patel led BJP formed the government in Gujarat, Amit Shah and Narendra Modi were given the responsibility by the BJP high command to undermine Congresss influence in the state and convince people to join BJP. Amit Shah and Narendra Modi were able to convince a large number of people to join BJP. The Shah Modi duo created a network of 8,000 influential rural leaders who had lost their election to Pradhan post in various villages. In the early 90s Modi had become the General Secretary in the partys state unit and he used his influence in getting bigger roles for Amit Shah. He helped Shah in becoming the chairman of Gujarat State Financial Corporation, a public sector financing institution that finances small and medium enterprises. 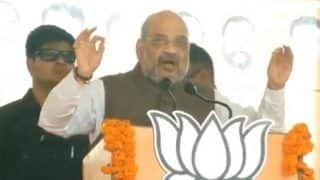 After senior Gujarat leaders complained about Modis growing clout in Gujarat government and Modi was made to move out from Gujarat to Delhi from 1995 to 2001, Shah served as his informer in Gujarat. 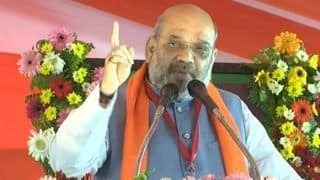 Shah became an MLA in February 1997 by-election after Modi lobbied for getting Shah a BJP ticket for the Gujarat Legislative Assembly by-election in Sarkhej. He retained his seat in the 1998 assembly election. In 1999, Shah became the President of Ahmedabad District Co operative Bank, the biggest co operative bank in India. 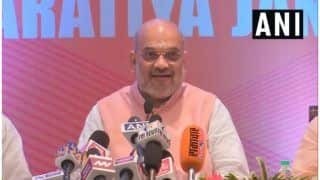 At that time, the bank had the losses of Rupees 36 crore however, Shah turned the fortune of the bank within one year and the next year the bank registered a profit of Rupees 27 Crore and by 2014, the profit rose upto Rupees 250 Crore. Shah also served as the President of State Chess Association. 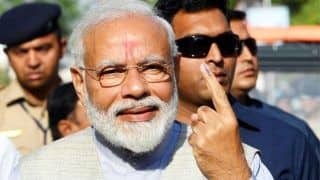 In 2009, he became the vice President of Gujarat Cricket Association when Narendra Modi served as its President and in 2014, Shah became the President of Gujarat Cricket Association after Modi became the Prime Minister of India. 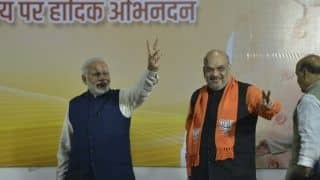 After BJP removed Keshubhai Patel and made Narendra Modi as Chief Minister of Gujarat in 2001, Amit Shah also gained political prominence in the state. He registered a huge victory in the 2002 Gujarat Legislative Assembly elections winning by over a margin of 1,60,000 votes in Sarkhej. 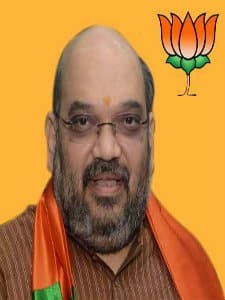 After winning the 2002 elections, Shah became the youngest minister in the Modi government and was given multiple portfolios. At one point of time, he held 12 portfolios including Home, Law and Justice,Prison, Border Security, Civil Defence, Excise, Transport, Prohibition, Home Guards, Gram Rakshak Dal, Police Housing, and Legislative and Parliamentary Affairs. 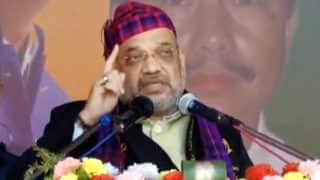 In 2004, the central government led by Congress decided to repeal the Prevention of Terror Acts (POTA) but Amit Shah managed to get the Gujarat Control of Organised Crime (GCOC) Bill passed in the state which would make religious conversions difficult. The bill made a large controversy but Shah defended it successfully. 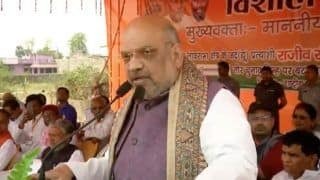 Shah had many other controversies which included the 2010 controversy accusing Amit Shah of having orchestrated the extrajudicial killings of a criminal Sohrabuddin Sheikh, his wife Kauser Bai and his criminal associate Tulsiram Prajapati. However, the CBI gave Amit Shah a clean chit in this case. 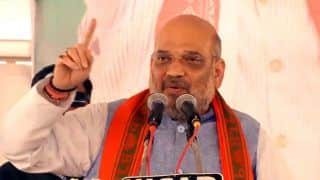 Shah was also accused of sidelining the police officers who testified against the Gujarat Government in cases related to the fake encounters and the 2002 riots. Shah however denies all the accusation and calls them political propaganda by his opponents. 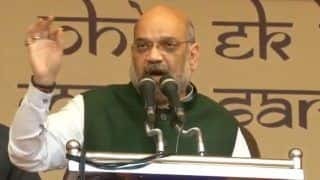 Amit shah entered national politics in 2014 when under Amit Shahs supervision, BJP did exceptionally well in Uttar Pradesh by winning 73 out of 80 seats. He was praised by the party members and in 2014, he was unanimously appointed as the BJPs national president replacing Rajnath Singh. He was re-elected to the post in 2016.Amit Shah is married to Sonal Shah. The couple has a son named Jay Shah. 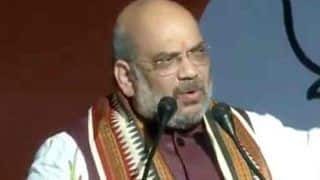 Shah has also faced arrest for the Sohrabuddin Fake Encounter case on 25th July 2010 with a number of charges including murder and extortion. Shah was granted bail in October 2010 but was barred to enter Gujarat. He was allowed to enter Gujarat two years later after the Supreme Courts order. 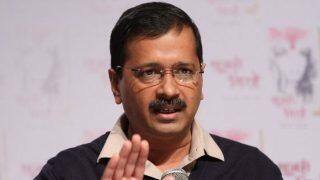 This enabled him to contest the 2012 election and he won from the Naranpura constituency. 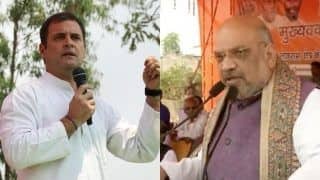 Shah was considered the successor of Narendra Modi for the Chief Ministerial candidate in Gujarat however his arrest and controversy of the fake encounter case dented his claim for the CMs post. 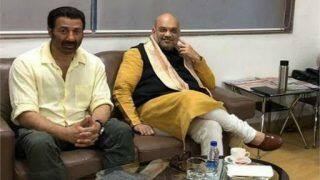 Lok Sabha Elections 2019: Is Sunny Deol BJP's Pick For Punjab?